Just a reminder that Peter Hull from Sweetwater Brewery will be running a bar outside the Falls Creek nordic centre from 4 – 6pm on the saturday. 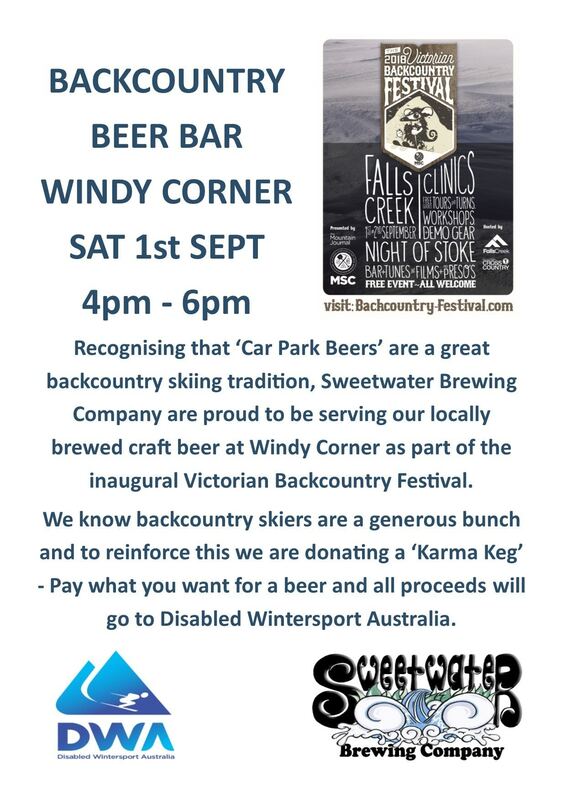 All funds raised will go to Disabled Wintersport Australia. bring a keep cup or other reuseable cup.